4) Has 12 months and each month has either 29 or 30 days depending on the dawn of new moon (hence 354 or 355 days in a year). 1) Listen to the nasheed yourself and sing the nasheed to kids. Allowing and encouraging the child to sing along, and correcting them if they get it wrong. This will reinforce the names and sequence of months in their mind. You all can sing along while riding a car as well. 2) Let the child listen to the nasheed. Ideally, a mother should sing instead of putting the song on any device because kids learn speaking properly by looking at the movement of speaker’s mouth – which is not possible when the nasheed is being played on a device. My 3-year-old had been incorrectly saying Gajjab instead of Rajjab for long. But yes, anasheed on the device are a good alternative when the mothers are busy and want to take a break. (Please note that kids should be of screen-age as mentioned in THIS ARTICLE). 3) Performing the Nasheed. A physical movement connected to the song can help a lot in engaging a child with the rhymes. My kids sometime hold their hands and move in circle while singing their “Months in Islam”. Another major way the kids get to learn and remember anything is – by seeing it. We created a FREE printable for you to download and print for your classroom or home which can help kids take a look and revise the names often. 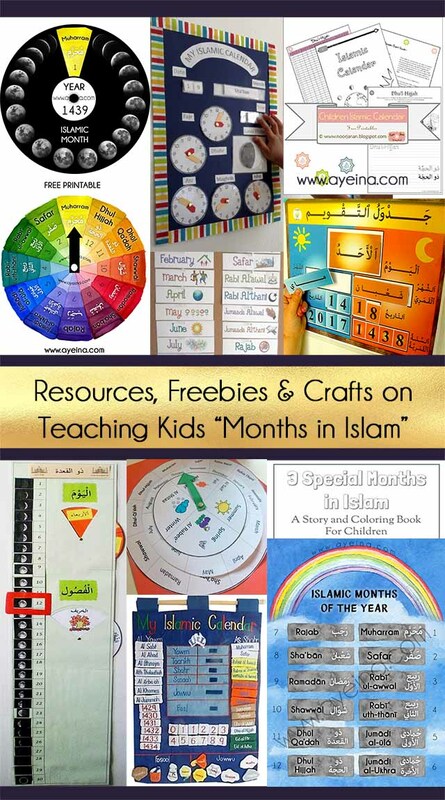 Some more amazing freebies on the topic are: by TJ Homeschooling (also a reference chart & side by side Hijri and Georgian months), by Our Muslim Homeschool (who DIY-ed her own Hijri Calendar), Story and Coloring book by Muslimommy, Islamic Calendar Workbook by Noor Janan Homeschool & Coloring pages by Easel & Ink. Asking kids to change dates from a magnetic Georgian & Hijri calendar (by Arabic Seeds) or a velcro cloth Islamic Calendar (by Littl) every morning can also be a very educating experience for them in shaa Allah. Hands on activities are also something that can keep the child interested and focused – and this interest and focus often results in a lifelong learning. 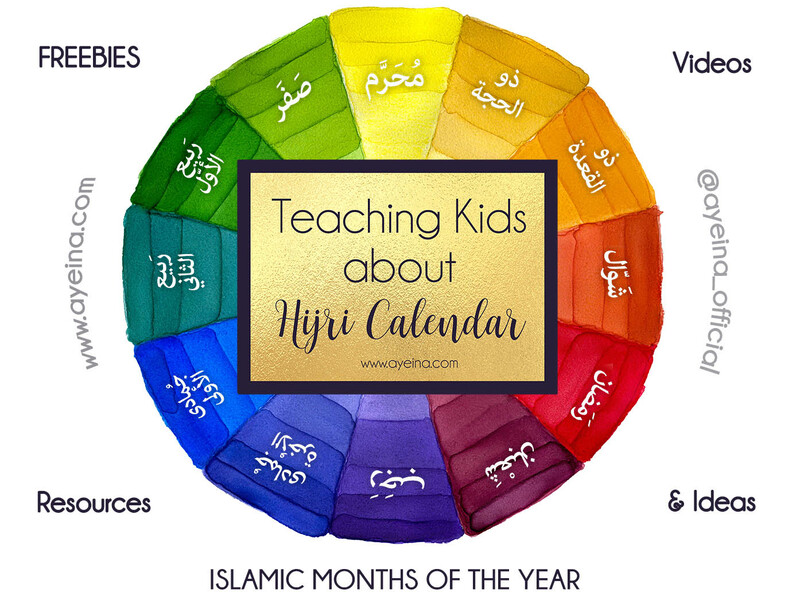 You can even do a craft a month for a whole year so each time an Islamic month starts, kids can associate it with something memorable in shaa Allah. You can plan about them yourself in your own Islamic Planner (like the ones by EmaanBoost (the queen of Islamic Planners), Kecilmamil & Pampered Muslimah). 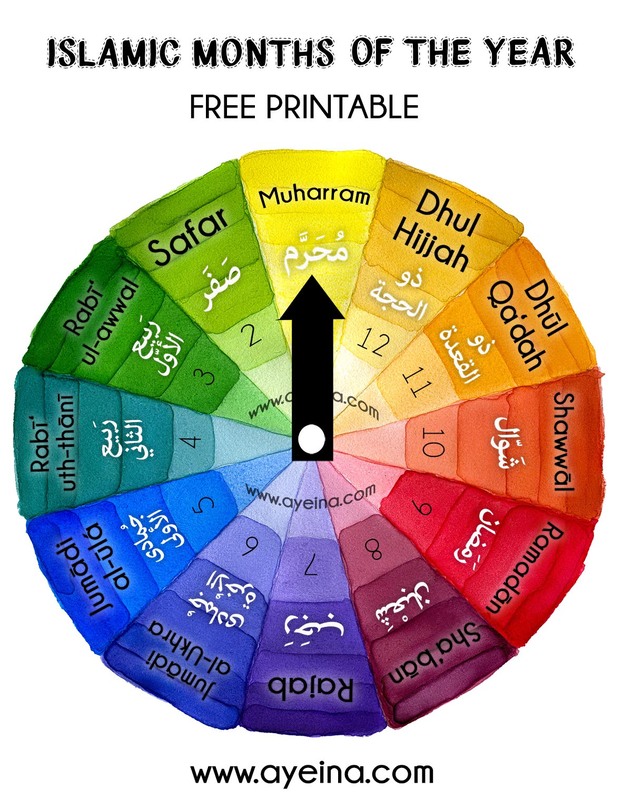 You can also make your own wheel calendar using basic materials like colors, cardstock & a thumb pin or an awesome DIY like that of Oum Younous. 1 – Moon Phases with a cut-out for the colorful gradient months to show up individually each time you circulate the wheel. 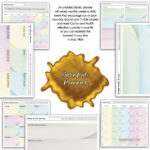 1) Shuffle & Pick – On separate 2”x 2” sheet of paper write names of Months and fold it. Each player will draw a paper and read the name of the month aloud and then tell the name of the month after it. Am I a sacred month? Am I a month in which we fast? 3) Chasing game – Kids can make a circle in a way that one is in the middle and everyone else is walking round chanting the months. They all stop at dhul hijja and shout calendar calendar whats the month. Person in the middle shouts a random month and then they all run away and middle person chases. The person who is caught goes in the middle and the game starts again. Just simple fun things for kids who learn best through play! 4) Ball rolling game – In a class room setting where the children sit in a circle, the teacher rolls a ball to a child and they have to say the first month, child rolls ball to next child and they say second month and it goes on till the end. Human being has an eternal love of tale and folklore, even Allah SWT in Quran tells stories to teach us lessons. Therefore, this should not be surprising that our own tiny human beings also share the same curiosity and interest. Mothers can quench this thirst by telling the detailed accounts of why are the months named such and such? What are the Islamic historical events that occurred in those months? Why are certain months and days are of importance? 1 Muḥarram مُحَرَّم forbidden A sacred month, because battle and all kinds of fighting are forbidden (ḥarām) during this month. 2 Ṣafar صَفَر void Takes its name from sifr, which means to be empty, because the trails that the Arabs used for travel & business were empty because the sacred months had ended and fighting returned. 3 Rabī‘ al-awwal رَبيع الأوّل the first spring Also means to graze, because cattle were grazed during this month. Many think that the Prophet Muhammad was born in this month but there is no authentication behind it. 4 Rabī‘ ath-thānī رَبيع الثاني the second spring These months took their names from rab’i al-‘ashab (dense gas) because it grew during that time. 5 Jumādá al-ūlá جُمادى الأولى the first of parched land Often considered the pre-Islamic summer. Jumādá may also be related to a verb meaning “to freeze” & another account relates that water would freeze during this time of year. 6 Jumādá al-ākhirah جُمادى الآخرة the last of parched land These 2months took their names from jumad al-ma (ice), because they occurred while it was cold. 7 Rajab رَجَب respect, honour 2nd sacred month in which fighting is forbidden. Rajab may also be related to a verb meaning “to remove”, as pre-Islamic Arabs would remove the heads of their spears & refrain from fighting. 8 Sha‘bān شَعْبان scattered Is taken from a word which means to split and divide. It marks the time of year when Arab tribes dispersed to find water. Sha‘bān may also be related to a verb meaning “to be in between two things”. Another reason is because the month lies between Rajab and Ramaḍān. 9 Ramaḍān رَمَضان burning heat It is named after Ramda: Ramda are stones heated by the sun during summer. Burning is related to fasting as in empty stomach one’s worldly desire will burn. Supposedly called so because of high temperatures caused by the excessive heat of the sun. During this time, Muslims must fast from pre-dawn till sunset. 10 Shawwāl شَوّال raised Is derived from the lifting(Ar.shayl) of a camel’s tail to ward off files(because of the extreme heat). 11 Dhū al-Qa‘dah ذو القعدة the one of truce/sitting It is named such because it was the first sacred month that prohibited fighting. Thus, people sat (refrained from fighting) during that time (allowed to defend if attacked). 12 Dhū al-Ḥijjah ذو الحجة the one of pilgrimage During this month Muslim pilgrims from all around the world congregate at Makkah to visit the Kaaba. The Hajj is performed on the eighth, ninth and the tenth of this month. Eid al-Adha, the “Festival of the Sacrifice”, begins on the 10th day & ends on sunset of the twelfth. 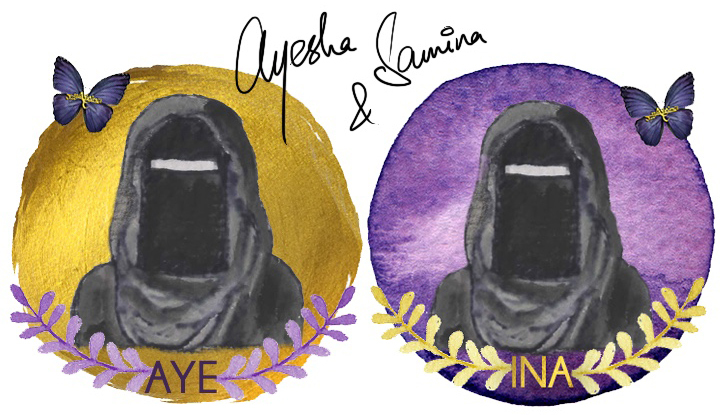 Part of the above has been beautifully represented in an infographic by Islamographic. 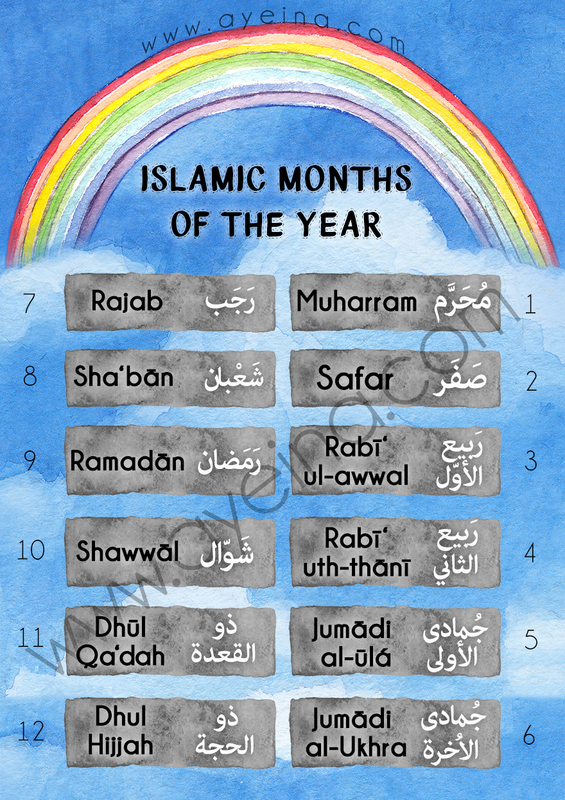 Read some more details about the months in Islam in THIS BOOK. Amazing Idea… Jazakallah for sharing such a good information with us. Thank you for sharing this wonderful post. 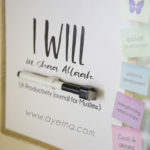 I loved how you described the calendar and related it to Islam as a way of life. 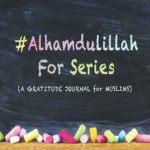 I will be sure to share this with my friends with kids insha’Allah! Mashaa Allah! Loved everything. Pinning everything! Thank you so much for sharing these wonderful ideas. May Allah reward you with every success!